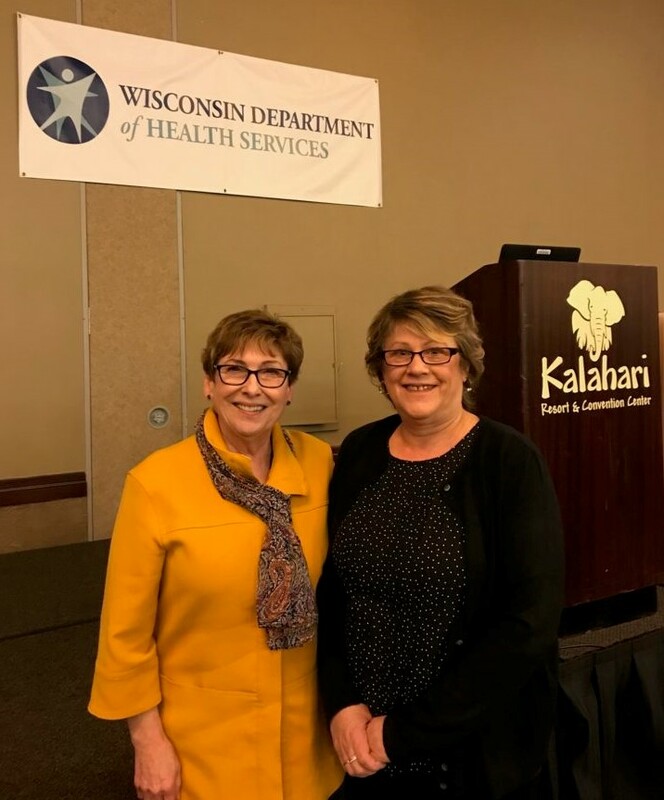 One of North Shore Healthcare’s CNAs was honored during the Wisconsin Department of Health Services’ 2018 FOCUS conference held in Wisconsin Dells, WI. Arlene Hibl, CNA at Delavan Health Services, was recognized for her role as a Direct Caregiver during a presentation given by Otis Woods, Administrator of the DHS-Division of Quality Assurance. The Wisconsin Healthcare Association (WHCA) submitted Arlene’s name to be recognized as she was nominated by North Shore for the WHCA’s Shining Star Award earlier this fall. To read WHCA’s article featuring Arlene Hibl, click here.